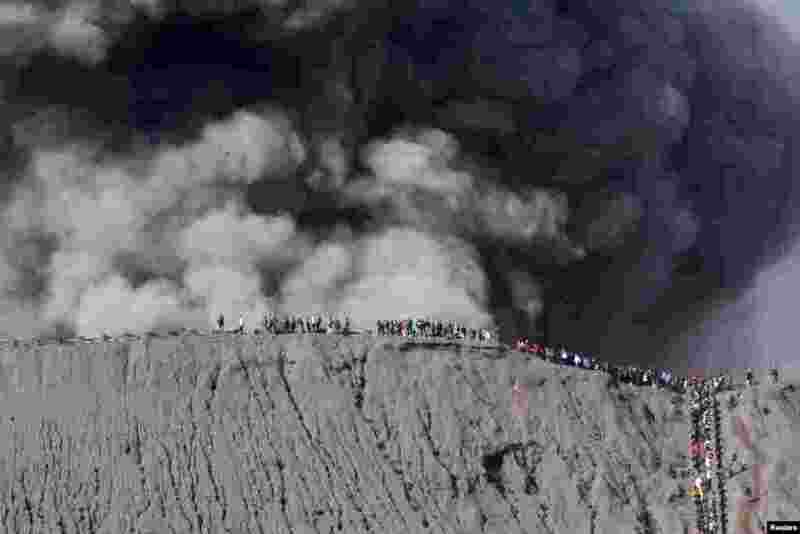 1 People stand on the edge of the crater to watch the eruption of Mount Bromo in Probolinggo, Indonesia. 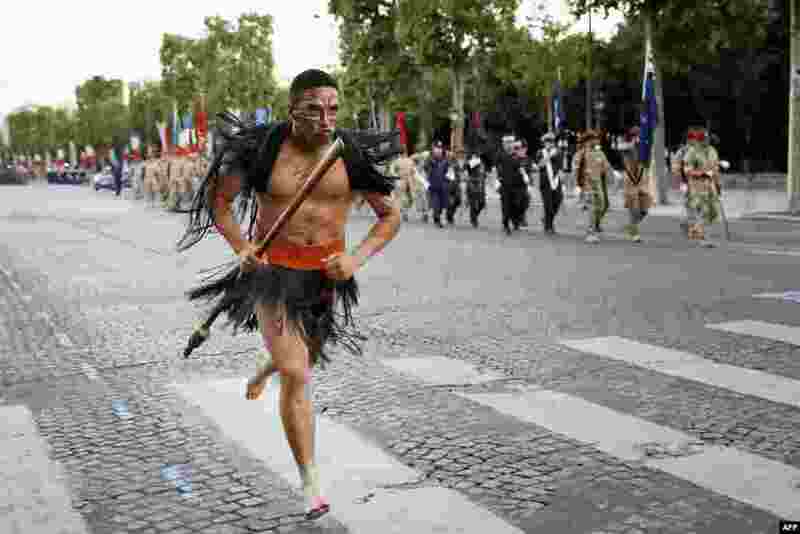 2 A Maori soldier runs alongside as New Zealand troops march down the Champs Elysees in Paris during a rehearsal of the annual Bastille Day military parade. 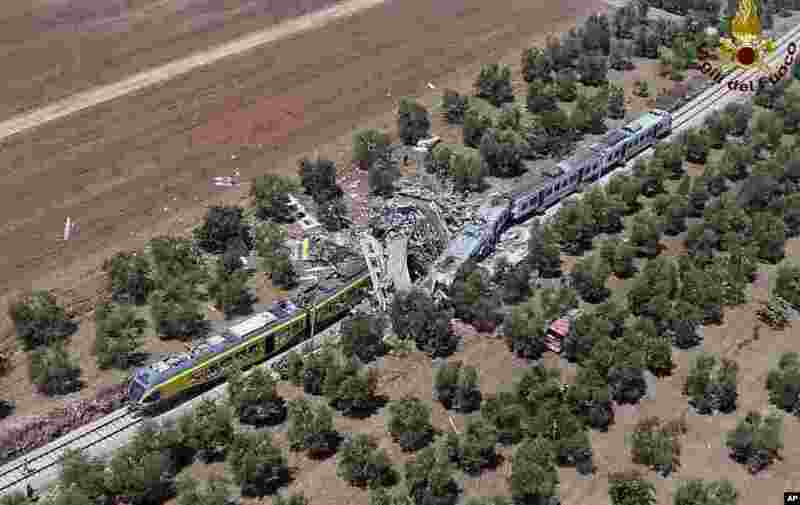 3 This aerial handout photo by the Italian Firefighter Press Office shows two commuters trains after their head-on collision in the southern region of Puglia, Italy. At least 20 people died and several others are reported injured. 4 Filipinos react to the Hague-based U.N. international arbitration tribunal's ruling favoring the Philippines in its case against China on the South China Sea dispute, in Manila, Philippines. The international tribunal has found that there is no legal basis for China's "nine-dash line" claiming rights to much of the South China Sea.